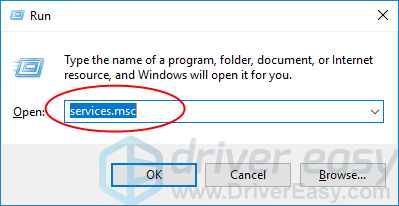 You may want to use Bluetooth headphone or microphone on your Windows 10, or you may want to transfer the files on your mobile phone to Windows 10 via Bluetooth. But the problem is now you can’t find the Bluetooth anymore in the Settings window. It’s wired. But the good news is you can fix it easily by yourself. 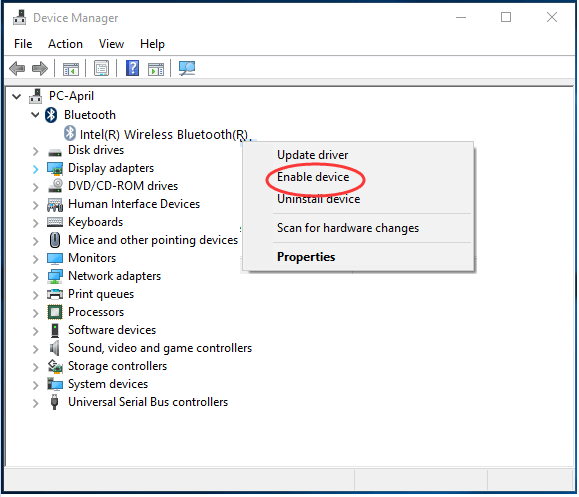 How do I fix Windows 10 Bluetooth missing? Here we list the top 3 solutions for you to try to fix the problem. Work your way down the list until your problem is solved. 2) Check to see if there is Bluetooth Device in the Network adapter section and if there is the Bluetooth section. If yes, then there’s Bluetooth on your computer. 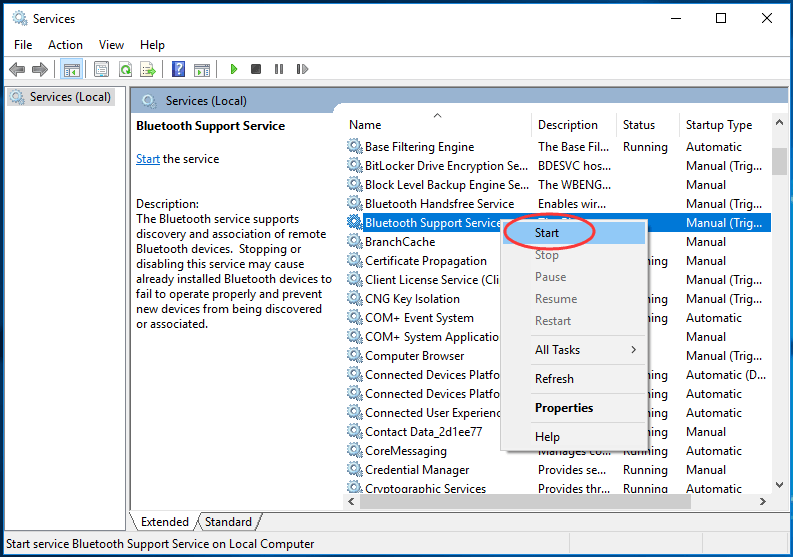 3) Right-click Bluetooth Support Service or any other service related, like Bluetooth Driver Management System. Then Start. 4) Right-click on the service again, and this time click Properties. 5) Set its startup type to Automatic. Then click Apply > OK.
6) On your keyboard, press press the Windows logo key + I key together to invoke the Settings window. Check to see if the Bluetooth option is there. 1) On your keyboard, press the Windows logo key + X key at the same time to open the quick-access menu. 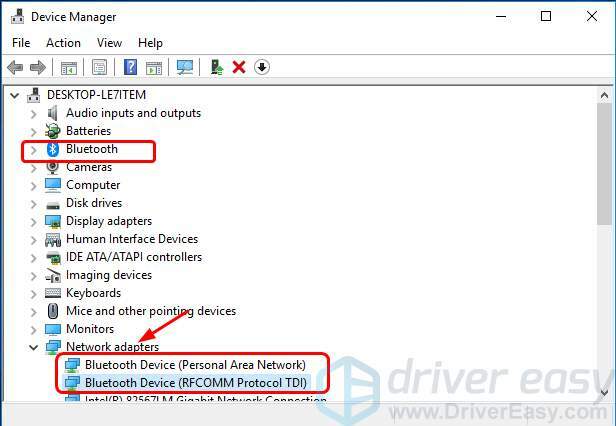 3) Right-click on your Bluetooth driver software in the Bluetooth section. 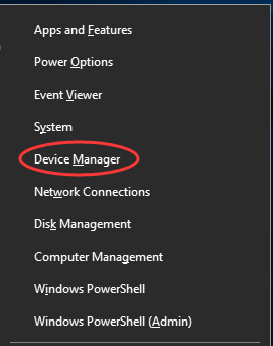 Then choose Disable device. Click Yes if prompted by confirming. 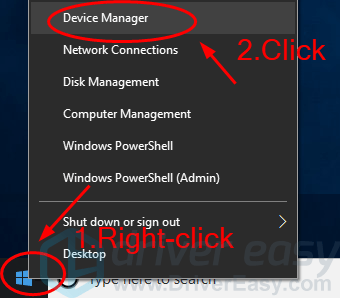 4) After it’s done, right-click on the driver again and this time choose Enable device. 5) On your keyboard, press press the Windows logo key + I key together to invoke the Settings window. Check to see if the Bluetooth option is there. 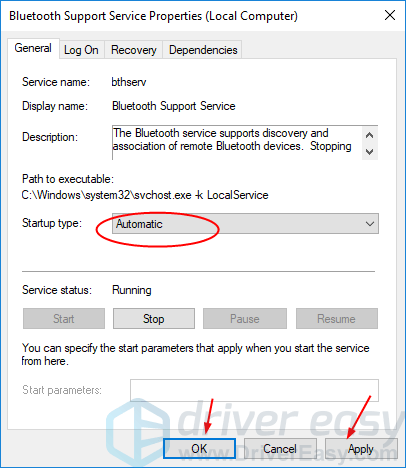 Always, if your Bluetooth driver is outdated or corrupted, it would cause errors. In most such case, update your Bluetooth driver can fix the error. 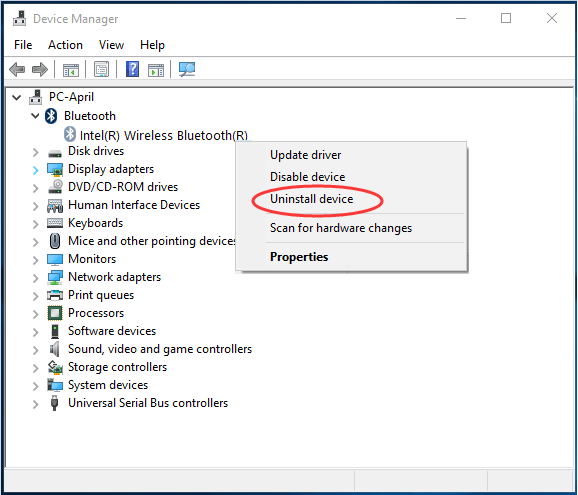 3) Right-click on your Bluetooth driver to choose Uninstall device. 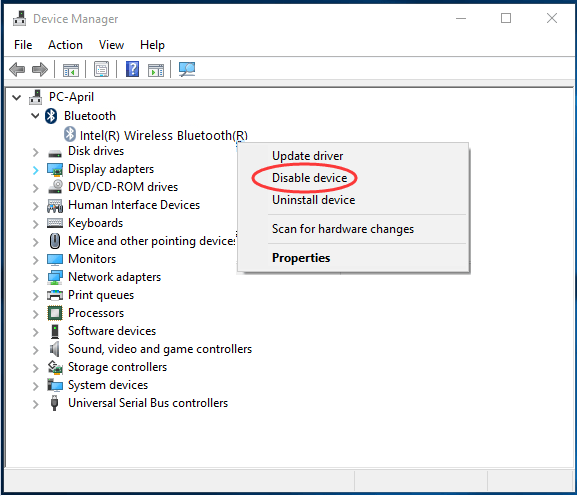 4) Go to your computer manufacturer’s website or your Bluetooth adapter manufacturer’s website, like Intel, to download the latest Bluetooth driver for your device. Then install the downloaded driver on your computer. Alternatively, you can use a driver tool to help you. 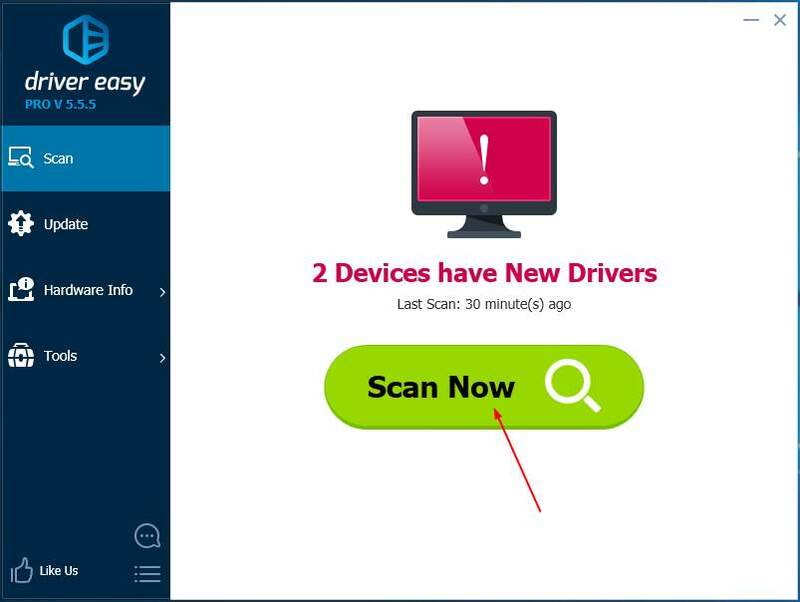 We highly recommend you use Driver Easy to automatically recognize your system and find the correct drivers for you. With its help, you can say goodbye to driver headache and delays forever. 4-1) Download and install Driver Easy. Then run it on your Windows. 4-2) Click Scan Now. All drivers problems of your computer would be detected in less than 1 min. Your Bluetooth driver is no exception. 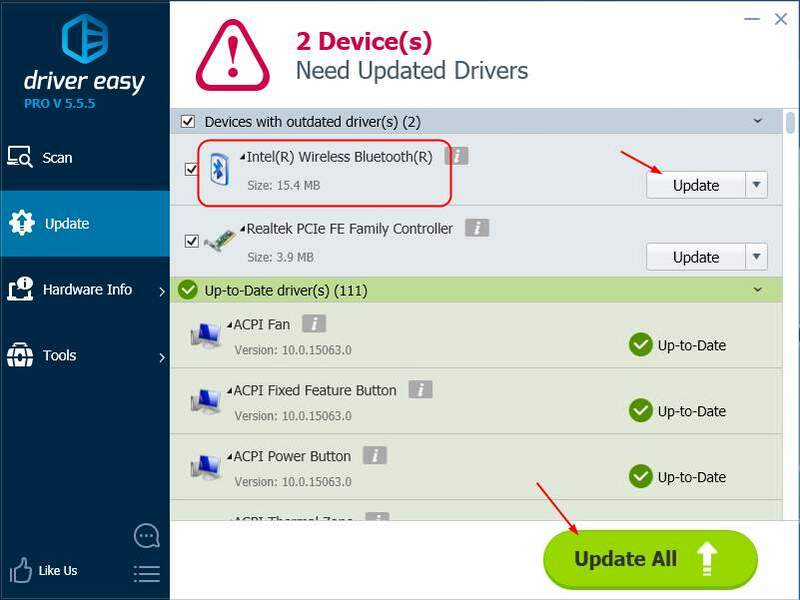 4-3) If you try the Free version, click Update next to your flagged Bluetooth driver to automatically download and install the correct version of this driver.